It's easy to register later, if you need to. Registering Autograph removes the watermark. Way. More. Fun. A license will be sent to you via email. You need to have a MacBook with multitouch. Unibody silver MacBooks with black keys will work, as will all Mac laptops made after 2009. You must also have OSX 10.6 Snow Leopard or later installed (it was released in 2010). Autograph is now also compatible with Wacom tablets, so even if you don't have a unibody MacBook, it's still simple to sign documents or email. If your machine is not compatible for any reason, check out Autograph for iPhone. Need to be sure it'll work? It's easy! Give the free version a quick try. Feel free to hit our help page if you have questions. Mac OS X 10.6 or later. A license will be sent to you via email. Includes a Pogo - the best tool for signing on your trackpad. 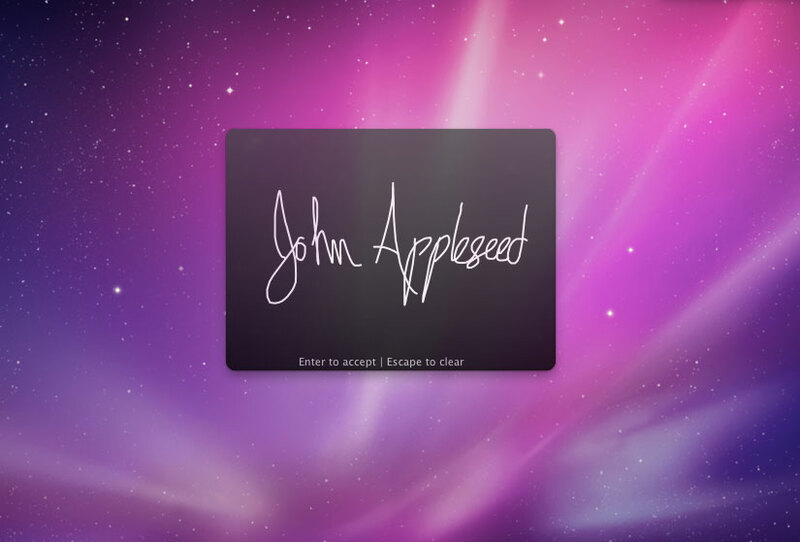 Autograph an email or document using your trackpad in less than 7 seconds. It works in Word, Pages, Mail, iChat, and many other applications. Waste time scanning, trimming, pasting in a signature? No thanks! 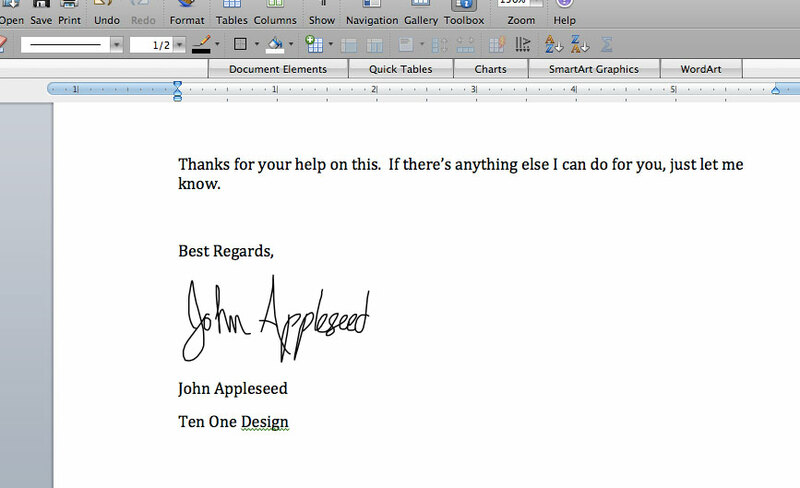 One keystroke inserts your signature or note into an open document. - No Way! 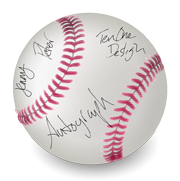 - Use Autograph for silly doodles, poodles, polite gestures, or anything else you can think of. 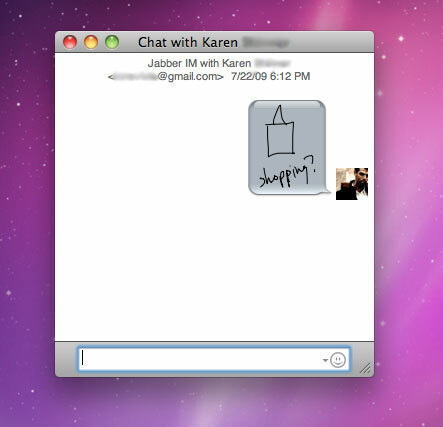 You can even use Autograph to sketch in iChat! Just like a pen, Autograph is at your fingertips. Customize the HotKey to anything you’d like. Flub your last name? No problem. Three-finger swipe left or right to undo/redo. Try that with a pen! You’ve probably never had a handwriting expert evaluate your penmanship. For us, that’s a good thing. But just in case, Autograph includes all the details that make a signature uniquely yours. And that, gentle reader, is how you can tell the signature to the left is not in fact Mr. John Hancock of antiquity. 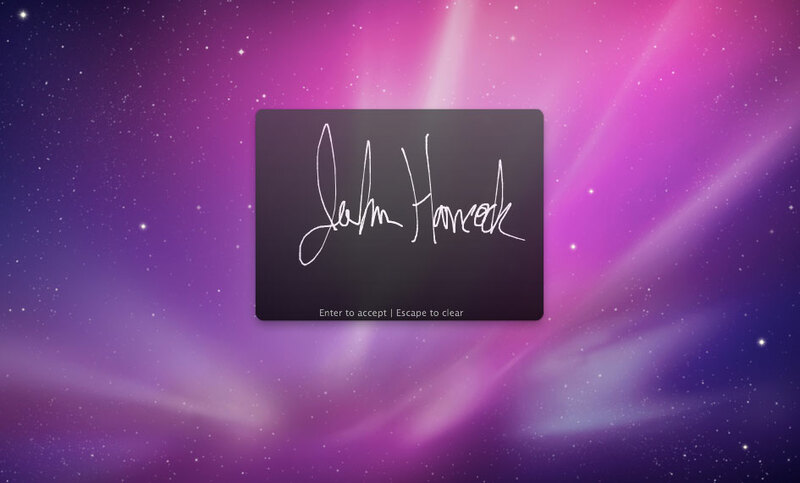 Autograph now supports many tablets. Even if you don’t have a unibody MacBook, you can get in on the fun! Colors, Hover-mode, and many other features are just waiting for you to try them out. Feel free to hit our help page if you have any questions. Thanks for your interest in Autograph! Enter your license, name, and email address to activate your license. Keep me updated about Autograph updates and other new releases. 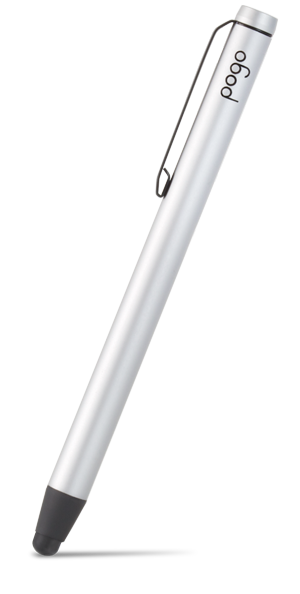 We offer a discount on our Pogo trackpad pen to Autograph customers. Happily, we are able to extend a similar one-time 15% discount to you right now.